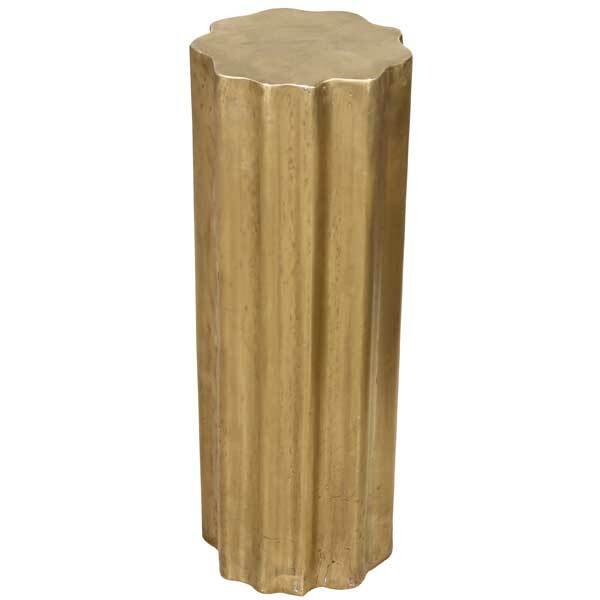 copper or brass log side table. copper or brass log lamp table. 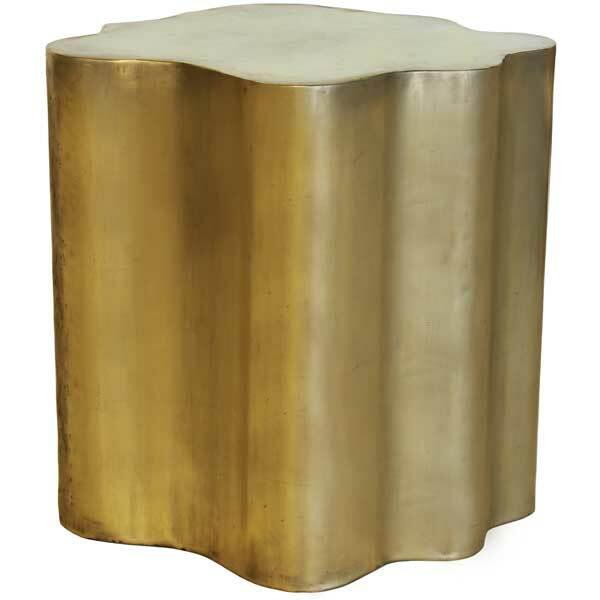 Copper or Brass Log Side Table was inspired by a tree trunk in its natural raw form. It is constructed by first making a steel structure over which heavy gauge copper or brass sheet is stretched by a master metal-smith. The sheet metal is lightly distressed and antiqued. The copper or brass surface is not sealed so it continues to develop a patina as the table ages. The result is a unique side table which mimics the surface texture and natural beauty of rough-hewn timber. Each piece is crafted entirely by hand, so no two tables are entirely alike. Award-winning designer Shah Gilani, ASFD, designed this table for use in eclectic residential and hospitality interiors. It can also be made as a dining table base, a coffee table, or a console. This exquisite work of art would make an interesting conversation piece in a rustic lodge or a country house. Custom sizing is available. Custom sizing is available.